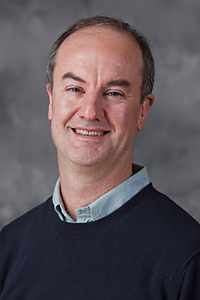 Dr. Ferris' research is concerned with algorithmic and interface development for large scale problems in mathematical programming, including links to the GAMS and AMPL modeling languages, and general purpose software such as PATH, NLPEC and EMP. He has worked on many applications of both optimization and complementarity, including cancer treatment planning, energy modeling, economic policy, traffic and environmental engineering, video-on-demand data delivery, structural and mechanical engineering. He serves on the editorial boards of Mathematical Programming, Transactions of Mathematical Software, and Optimization Methods and Software. Optimization, Modeling and Applications of Operations Research, Complementarity Problems, Data Science, Grid Computation and Numerical Algorithms. Ferris is a SIAM fellow, an INFORMS fellow, received the Beale-Orchard-Hays prize from the Mathematical Programming Society and is a past recipient of a NSF Presidential Young Investigator Award, and a Guggenheim Fellowship.